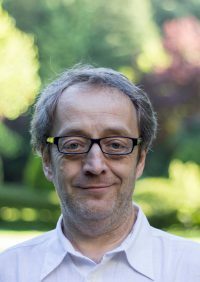 With a PhD in law from the Université Libre de Bruxelles, Philippe De Bruycker is a full time Professor in charge of teaching about immigration and asylum law and the free movement of European citizens. He was appointed Jean Monnet chair for European immigration and asylum law in 2011. In addition to his university functions, Philippe De Bruycker has practical experience in the area of immigration and asylum. From 2001 to 2004, he was the main administrator at the European Commission’s Directorate General for Justice and Home Affairs, where he was in charge of drafting and negotiating draft directives on immigration. He also sat as a substitute judge on the Belgian permanent committee for appeals for refugees from 1993 to 1998. Having been Director of the Faculty of Law’s Centre for Public Law from 1995 to 1999 and member of a Parisian laboratory of the CNRS from 2000 to 2002, his research activities now focus on European immigration and asylum law and comparative law in its material and institutional dimensions. He founded the Academic Network for Legal Studies in Immigration and Asylum in Europe (better known as the ODYSSEUS network), which he has been coordinating since 1999 and in the context of which he is currently managing the Omnia project funded by the European Commission. In particular, he carried out two European research projects dedicated to the detention of immigrants who are illegally staying in the country in view of their return (Contention) and European judicial cooperation relating to the implementation of the Return Directive (Redial) as Deputy Director of the Migration Policy Centre (MPC) of the European University Institute (EUI) in Florence from 2012 to 2016. He regularly works as an expert for various institutions such as the European Parliament, the European Union, the OECD, the United Nations High Commissioner for Refugees etc. In addition to a general class in European law in its institutional and material dimensions, Philippe De Bruycker teaches European immigration and asylum law, Belgian immigration law and free movement of European citizens. He is a guest lecturer at Sciences Po in Paris as well as at the universities of Bayonne, Aix en Provence, Luxembourg and Madrid. He is also one of the founders of the EU Agency for Asylum training programme.